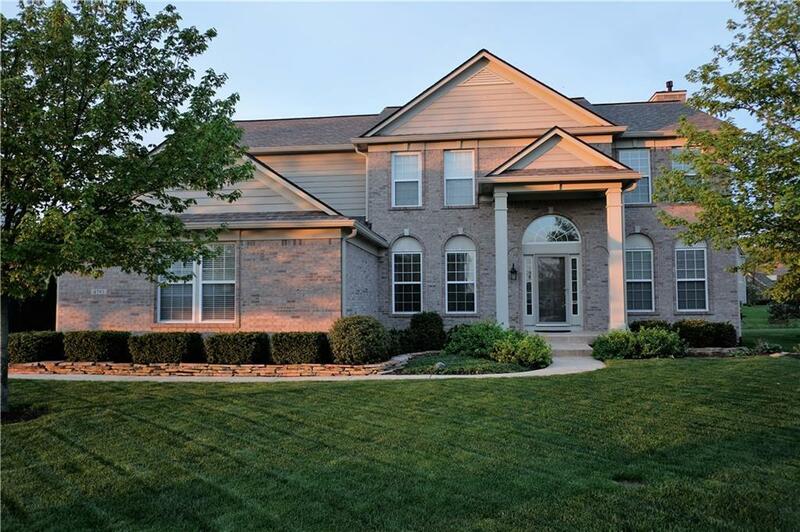 Spacious 4 / 5 bedroom well maintained home features 2-story entry, 9 ft ceilings, open floor plan. Newer hardwood floors. Kitchen w/SS appliances & granite. Great Rm w/gas fireplace. Main level den/office & formal dining rm! Upper level w/2 skylights, master suite w/vaulted ceiling, garden tub w/jets & separate updated shower w/pebble stone floor. Full basement w/fitness rm & workshop. Speakers throughout 1st level, irrigation system, central vacuum, water softener, RO water filter system, humidifier, nest thermostat; too many extras to list. Roof, 6” gutters & garage doors replaced in 2017! Large stamped concrete patio. Awesome neighborhood amenities; trail, pool, playground, tennis & basketball & all within walking distance of schools.